If you are in the market to compare front load vs top load washers, we’ve compiled a list of the five most important things to consider before buying. From ease of use to comparing costs, we’ve got the low down on the differences between front load and top load washers. Let’s check it out. When loading clothes into a washer, height becomes a factor. Most people find it relatively easy to add items to a top load washer because you just drop them in. Also, you can lift the lid and add last minute items without disturbing the wash cycle. If you have trouble bending or have joint issues, a top load washer can be helpful. Conversely, the front load washers have pedestals that can be installed underneath providing adequate height for loading. If you have children you are enlisting, front load washers are just the right size for little hands to help. The biggest difference between top loading and front loading washers is energy efficiency. Front load washers use less detergent, 40% or less water, and reduce drying time from having a faster and more efficient spin cycle. All these combined make for a significant decrease in operating costs. Supplies are depleted more slowly and you save considerably on your water bill. Furthermore, the clothes transferring from a front load washer are lighter and less saturated going into the dryer, reducing dry time as well. In comparing the wash speed for a front load vs top load washer, the front load is faster and draws out more water. This makes for a slightly quicker wash speed. However, depending on load size and wash settings, this will vary. The cleaning performance in a front load vs top load washer is up for debate. 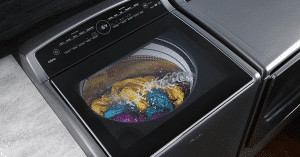 Some believe the extra water in a top load washer provides for a better clean. However, top loader tend to be more aggressive on clothing, therefore the wear and tear on the fabrics may be harsher. Front load washers are more gentle on fabrics, but their cleaning efficacy is still competitive. Clothes often come out fluffier and more refreshed in a front load washer. On the downside, front load washers can develop mold and become smelly, requiring a different type of maintenance from the homeowner. 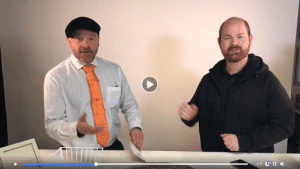 There is a distinct difference in upfront expense in a front load vs top load washer. Arguably, this makes sense. 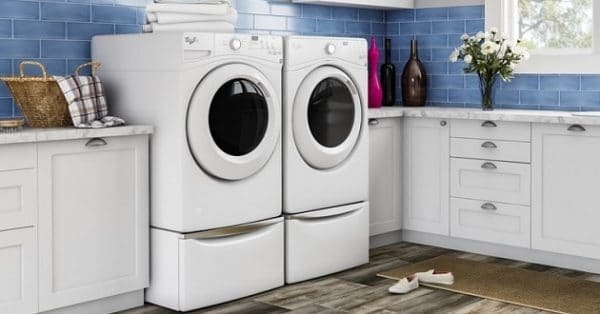 A top load washer is less expensive, but cannot handle the same load size, is more aggressive on clothes, and will cost more in your water bill to operate. 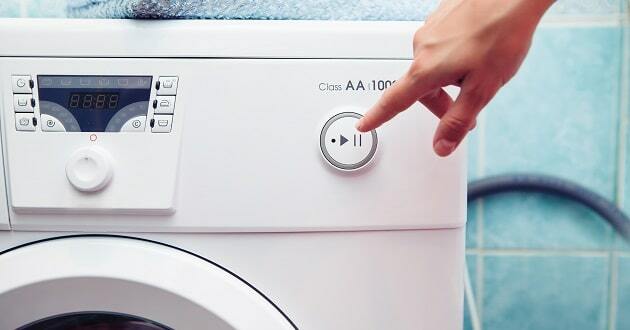 A front load washer can handle much larger loads, is gentle enough to handle your most delicate fabrics, and provides a significant decrease in operating costs due to its water efficiency. 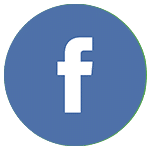 If you are thinking of replacing your washer, or your current appliance could use some TLC, contact Just-in Time Appliance Repair and schedule a visit with our repair specialists today! What Brands are Made by Whirlpool?